We have plenty of Pests in the Phoenix Arizona desert, & there’s no shortage of Ants! Pest Control for Ants in Arizona is part of protecting your family and pets. Fire Ants are a big concern because they’re aggressive & dangerous. They quickly attack with large numbers anyone, or pets, that disturb them. Identify the ant species! 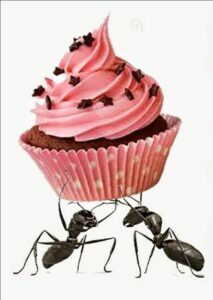 Different species of Ants have specific nesting & feeding habits that we used to help control them! Locating Ant nests is CRUCIAL! Determine weather ants are coming from inside, or outside. Seal Entry Points: Caulk around incoming pipes, utilities, door frames, window frames, vents, etc. Treatment: We treat ants at nest, plus inside & outside perimeters to PREVENT entry. Treatment may include Baiting: This can be the most effective way to eliminate the entire colony! One ant takes bait back to feed the entire ant colony with! Eliminate Food Sources! Keep all food, including pet food in sealed containers. After pets eat, remove excess food and water till needed again. Sanitation! remove plants that attract ants (nectar plats), eliminate aphids, trim trees and bushes touching structure (these can assist ants in entering a structure), eliminate or reduce moisture sources. Have an Ant Problem? Call for a FREE Inspection & Quote! Responsible Pest Control Mesa AZ – Making Happy Customers in: Phoenix, Gilbert, Scottsdale, Chandler, Queen Creek, Maricopa AZ, & surrounding areas.